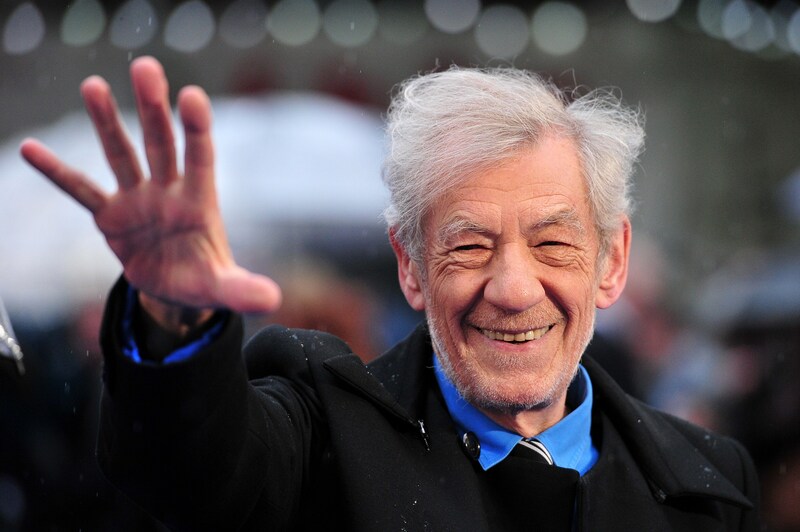 If you thought Sir Ian McKellen couldn't get any more British, you better eat your words: on Wednesday, a trailer dropped for the Ian McKellen-starring Mr. Holmes, with McKellen playing an elderly Sherlock who has "one last case to solve… his own." The Bill Condon-directed film may look a little cheesy, but it's feel-goody, not something we're used to seeing from previous takes on the Sir Arthur Conan Doyle classics. The loose plot of the film seems to be the aging detective Holmes coming out of retirement to solve the mystery of his own life — something to do with a mysterious woman he once knew — with the help of a very adorable young boy of a sidekick. McKellen's softer, more compassionate Holmes is one of the many takes on Doyle's iconic detective. Sherlock Holmes actually holds the Guinness Record for most portrayals at over 200 by 70 actors. Of course, if you're a so-called millennial, your favorite Holmes might likely be Benedict Cumberbatch in his portrayal of the curmudgeon detective in the BBC series. We can't take a look back at all 70 men that played Holmes over the years — we'd be here all day! But here's a refresher of some of the most ubiquitous and beloved Sherlocks of the past. Rathbone is one of the most iconic looking Holmes, and one of the most long-running. He played Sherlock in fourteen feature films from 1939 to 1946. Brett is probably the modern, quintessential Holmes: He played Sherlock for ten years from 1984 to 1994 on the Granada Television series The Adventures of Sherlock Holmes. He was praised for being intense and dark, yet acerbically funny. The wackiest Holmes for sure, Caine played opposite Ben Kingsley as Watson in Without A Clue, the 1988 comedy spoof of the Conan Doyle classics. Holmes is actually a bumbling half-wit, trying to pretend he's not. It's impossible not to love RDJ as a flirty, eccentric, buzzing, addictive, and frustrating but disarming. Also, since it's a Guy Ritchie interpretation, he can damn well fight. Cumberbatch is an AMAZING Holmes. He's condscending, totally unaware of social norms and cues (and doesn't care, frankly), selfish, childish, and utterly, completely brilliant. And handsome. Benedict Cumberbatch's turn as Holmes opposite Martin Freeman in the BBC series has been met with wide acclaim. And besides that acclaim, Tumblr fandom to end all Tumblr fandom. His female fans call themselves "cumberbitches." Now THAT'S a memorable Holmes. Definitely the most adorable Holmes thusfar.